Customer complaints are something that every customer facing business will have to deal with at some time. In the retail industry, this can be many hundreds of times a day, while companies that are more business to business focused will not deal with customer complaints as frequently. However many customer complaints you receive, there are ways in which they should be dealt with to ensure that the customer will remain your customer, and order from you again. It is important to your business that a customer complains as you then have the opportunity to address the issue and correct it, ensuring that it does not happen to another customer, and to make sure that you fix the problem for the complaining customer. 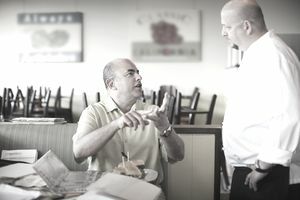 If a customer has a problem and does not make a complaint, then they will continue to have a negative opinion of your company, probably never order from you again, and could inform other customers or potential customers of their negative experience, which could negate any positive feedback that they hear. Therefore, to avoid this potential negative feedback it is important for your customers to inform your business the moment that they have an issue so that it can be addressed quickly and successfully. Market research has found that customers who have complained about a product or service and had that complaint successfully dealt with are 70 percent likely to order from the vendor again. In addition, 95 percent of those customers will give a supplier a second chance if they deal with the complaint in a timely and positive manner. When a customer complains about a product or service, the first customer service person they speak to must be responsive to their issue. If the customer believes that the person that they are speaking to is dismissive or doesn't care about the problem, then this can escalate the issue so that no matter how hard you try the customer will never be satisfied. With social media playing a more important part of company's marketing and promotion, customers who feel upset by the initial response to their complaint may quickly inform their social network as to what they are experiencing. This can give a negative opinion of your company to hundreds or thousands of potential customers. In order to ensure that customers are made to feel that their complaint is being taken seriously, it is vitally important to have the staff you are your first contact with the customer to have the right skills to deal with customer complaints. This can be either over the telephone, via e-mail, your company website, and increasingly through social media such as Facebook and Twitter. By whatever means the customer complaint is made, it is important to acknowledge the contact and deal with it as quickly and successfully as possible. When a customer calls or e-mails with their issue they will likely be upset or angry about the situation. However, the information in the complaint is very important to your company. The complaint will usually describe, the item or service that is the root of the problem, the difficulty that the customer experienced, and what the customer wants you to do to fix the problem. Sometimes the problem is simple for example a customer purchased an item last week and it no longer works, so they want a replacement. However, the complaint can be complex such as with an issue with an item that is out of warranty or an item that has been modified by the customer, and then the information that the customer supplies is very important to how you attempt to help the customer with the complaint. When a customer makes a complaint it is important to acknowledge, analyze, and solve the complaint as quickly as possible. If a complaint is dealt with quickly and the customer is happy with the solution, then this should lead to more orders in the future. But if the complaint is passed from department to department with little or no communication being passed to the customer, then the longer the issue is not resolved the more likely the level of customer satisfaction decreases, and this could lead to the customer never ordering from your company again.